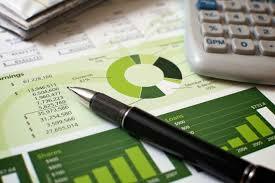 We are committed to providing you with both personal attention and high quality financial and accounting services. 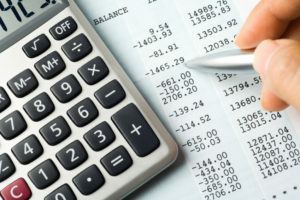 We use the latest technologies including top of the line tax and accounting software. Pitts & Pitts is a partnership of Brandon C. Pitts and Linda M. Pitts, both Certified Public Accountants, which provides services including accounting, tax and consulting services. Both partners have been practicing public accounting since July, 1981, and as a partnership since January, 1988. Brandon Pitts, CPA, has concentrated his practice of public accounting in tax compliance and planning, as well as small business accounting and consulting. He is dedicated to helping clients make intelligent financial decisions and ethically minimize tax liability. His patience and determination ensure that every client is treated with high regard. Following college graduation in 1981, with a BBA/Accounting from the University of Texas, Brandon began his career with a local accounting firm in downtown Dallas. He then joined Petrus Oil & Gas as Tax Manager in 1984. In 1988, Brandon & Linda began their practice of public accounting in Richardson, Texas, and then relocated the office to Allen, Texas in 2000. In his spare time, Brandon enjoys family time, playing golf and following sports, especially basketball and football. He is also active in serving Creekwood UMC in various capacities. Linda has practiced public accounting since 1981, and concentrates in auditing, accounting, and reporting for nonprofit and small business clients. She is dedicated to providing high quality services, and to helping improve the financial operations and controls, as well as the accounting and reporting functions for clients she serves. In addition to family life, Linda is involved in serving several organizations, and is active in Creekwood UMC in various capacities. She also enjoys entertaining, vacationing, and reading. Brandon and Linda have been married since 1983, and have three sons – Brett, Reed, and Clark. Jan graduated from Texas A&M University in 1980 with a degree in Accounting and started her tax career at a regional CPA firm in Midland. After moving to Dallas, she was employed as a controller for a land development company and specialized in cash flow management and tax work. Most recently, she served as controller for a commercial masonry contractor for 12 years and was involved in all aspects of accounting including payroll, budgeting, job-costing and risk management. She is happy to have come full circle back to tax accounting with Pitts and Pitts. She married Dan in 1980 and they have two daughters, Liz and Kate. Jan enjoys reading, practicing yoga, eating out and listening to local music with friends.